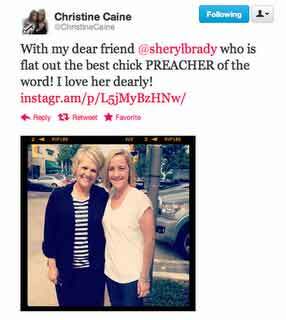 Christine Caine, director of Equip & Empower Ministries, founder of the A21 Campaign, and a worship leader at Hillsong Church, led by pastor Brian and pastrix Bobbie Houston, is quickly growing in popularity. Ever since her appearance at Steven Furtick’s Code Orange Revival, (which was followed by preaching a Sunday service at Furtick’s Elevation Church), Caine has grown to become quite a recognizable name among the seeker-driven crowd. Her obvious bubbly personality and charismatic speaking style make it easy to see why she has become so popular. 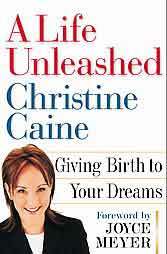 This language is typical Word Faith sentiment, teaching people to “give birth” to their dreams and “unleash the potential” inside. 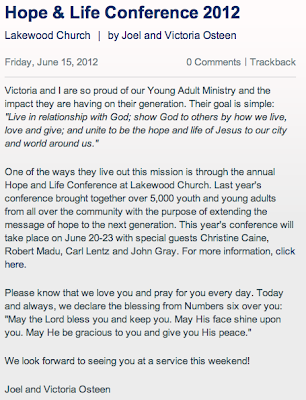 Unfortunately for these types of teachers, apart from Christ, the only potential anybody has is the potential to sin. 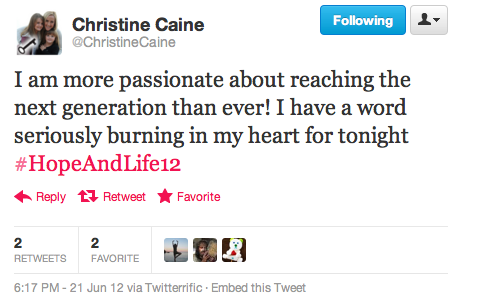 Nevertheless, the name of Christine Caine is becoming more common place. 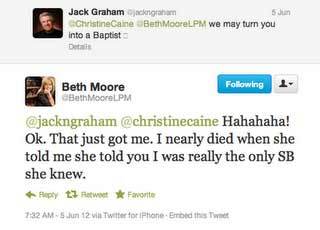 She even has become rather good friends with Southern Baptist preacher Jack Graham and fellow Southern Baptist Bible teacher Beth Moore. 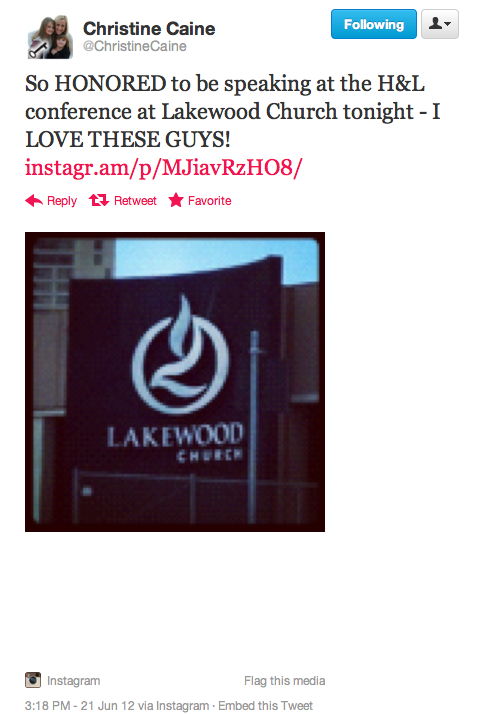 confesses “God is birthing out a revival” through Elevation Church and its great leader Steven Furtick who “sees what God sees.” Unfortunately though, many of us Christians never in our whole Christian lives ever get to see such wonders because we have “weights” keeping us from “breakthrough.” As pastrix Caine continues her narcigesis she does hold out hope though because Elevation Church brings revival when they show up. 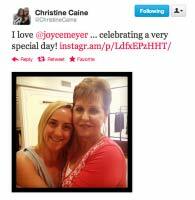 With Christine Caine becoming increasingly popular among mainstream evangelicals such as Beth Moore and Jack Graham, her apparent affinity for the Word Faith crowd ought to cause concern. Who knows, perhaps Elephant Room 3 will finally welcome women to the panel. If so, we would not be surprised to find Caine at the top of the list.